Context-aware and pervasive systems are growing in the market segments. This is due to the expansion of Internet of things (IoT) devices. Current solutions rely on centralized services provided by servers gathering all requests and performing pre-defined computations involving pre-defined devices. Large-scale IoT scenarios, involving adaptation and unanticipated devices, call for alternative solutions. We propose here a new type of services, built and composed on-demand, arising from the interaction of multiple sensors and devices working together as a decentralized collective adaptive system. Our solution relies on a bio-inspired coordination model providing a communication platform among multi-agent systems working on behalf of these devices. Each device provides few simple services and data regarding its environment. On-demand services derive from the collective interactions among multiple sensors and devices. 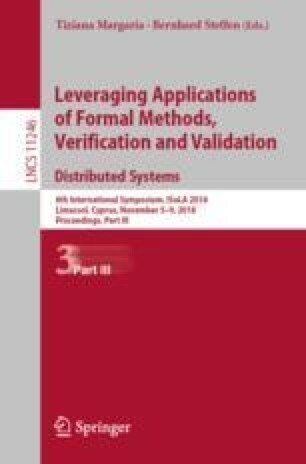 In this article, we investigate the design and implementation of such services and define a new approach that combines coordination model and reinforcement learning, in order to ensure reliable services and expected quality of services (QoS), namely convergence of composition, of coherent result and convergence of learning. We present an IoT scenario showing the feasibility of the approach and preliminary results.